Setting your sights and identifying your target clientele is essential for achieving success. In most cases, there is more than one potential target to aim for, and this means crafting messages and marketing campaigns that have the capability of generating the moving company leads your business depends on. Identifying the predominant age, income, and education level in your area is crucial. This can help you determine whether your target market is college students and recent graduates, middle-aged moms and dads, or retirees eager to set sail for sunnier shores. Reviewing this information is essential for designing and developing effective marketing campaigns. If you are new in the industry, it is a good idea to make contact with local real estate agents and associations. They can help you better understand the trends and changes they are seeing in the regional demographic. This can help you position yourself for entry so that you can take advantage of these as they evolve. A 40-year old man with a wife, kids, and professional degree will have different moving needs and budget than a 22-year old college graduate. However, both need moving services. This means that you need to develop custom approaches and moving solutions to satisfy both prospective clients. One way to do this is to funnel and filter each potential demographic into segments based on key demographic data, i.e. age, income, education, lifestyle, etc. Identifying this information allows you to develop value propositions that you can then build customized moving packages around. Once you know the composition of the regional demographic, you can develop moving solutions that solve the most common problems and needs of your prospective clients. This allows you to position your company to respond to the moving company leads that come your way. Essentially, word will spread that you have the right-sized storage units, mobile storage containers, moving trucks, moving packages, etc. The result is a swirling funnel of moving company leads that will come your way as members of each target demographic share their knowledge and experience with their peers within the same demographic. Effectively targeting niche markets is tricky. However, it is potentially very lucrative. For example, sports clubs that need seasonal mobile storage, construction companies that need temporary mobile containers set-up on site, restoration companies responding to natural disasters, etc. Niche markets are smaller and more selective, however, effectively targeting them often means repeat business and steady contracts that can form a solid foundation for your operations. Building a network of real estate agents, homeowners associations, property managers, etc. 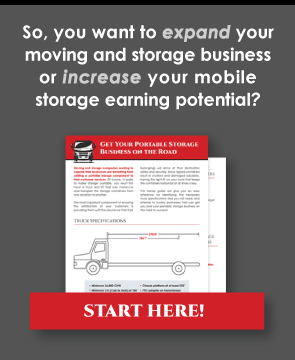 is more than just a way to generate moving company leads. This network of individuals and private entities can become a continual source of valuable information regarding the needs and desires of the potential clients in your area. Moreover, they are an invaluable sounding board for you to bounce ideas and strategies off of. In many cases, they can tell you whether a proposed marketing campaign and service offering will resonate or fall flat before you spend the time and money developing it. Finally, remember that operating a moving business is akin to setting sail on the open sea. You have to be willing to trim sails, adjust course, and change targets as conditions evolve and change. By staying nimble and keeping an eye on the evolution of the demographic in your region, you will have an advantage over others when it comes to reaping a steady stream of moving company leads throughout the changes that will most certainly occur.